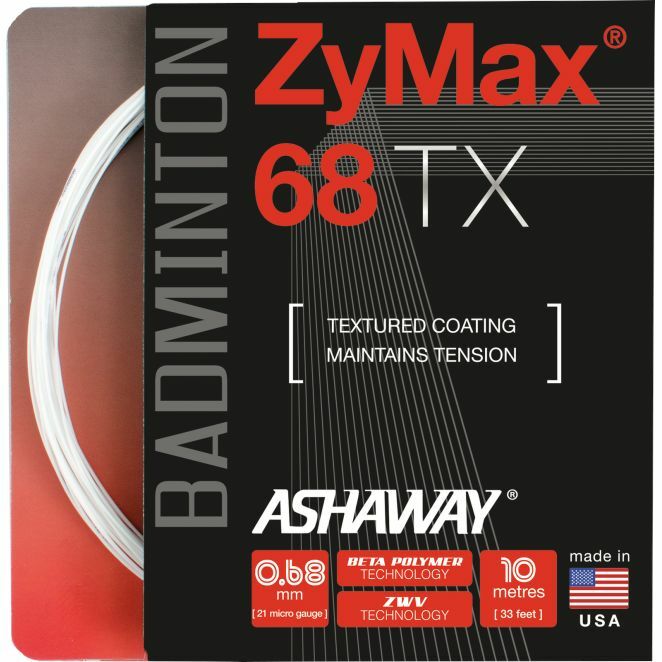 The Ashaway ZyMax 68 TX badminton string offers high levels of power and control and has a diameter of 0.68mm (21). This multifilament string boasts BETA Polymer technology to deliver maximum dynamic stiffness and repulsion and has been designed for players seeking increased durability and minimum tension loss. A tournament gauge ensures long-lasting performance, whereas ZyWeaVe™ core helps to maintain tension. Plus, there is a proprietary textured coating for more stiffness and improved control. The string is supplied as a 10m (33ft) set. 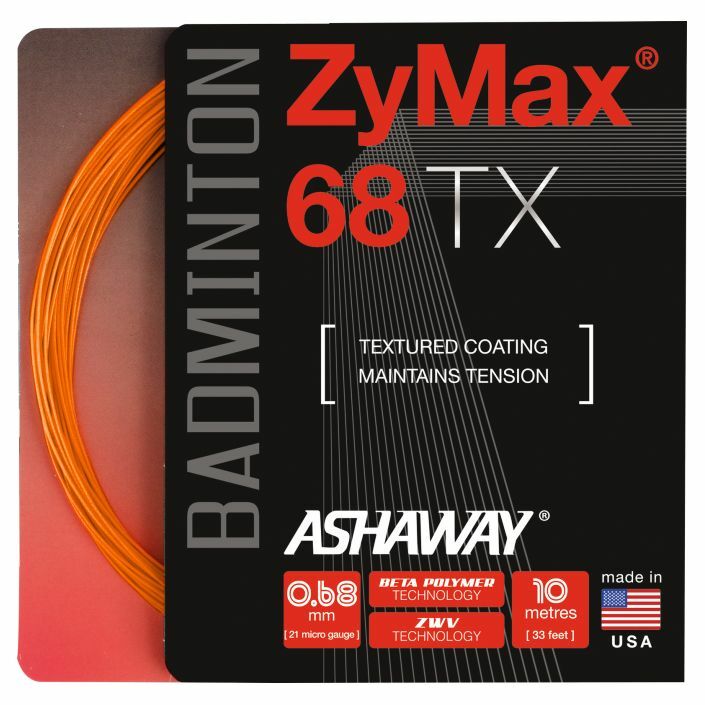 for submitting product information about Ashaway ZyMax 68 TX Badminton String Set We aim to answer all questions within 2-3 days. 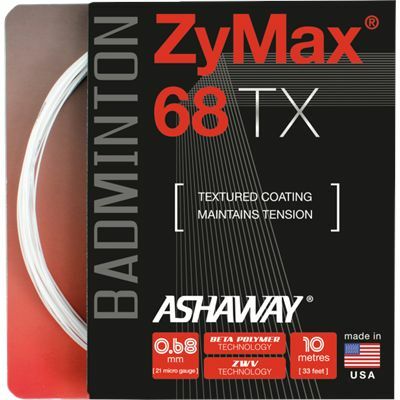 for submitting product information about Ashaway ZyMax 68 TX Badminton String Set. We aim to answer all questions within 2-3 days. If you provided your name and email address, we will email you as soon as the answer is published. 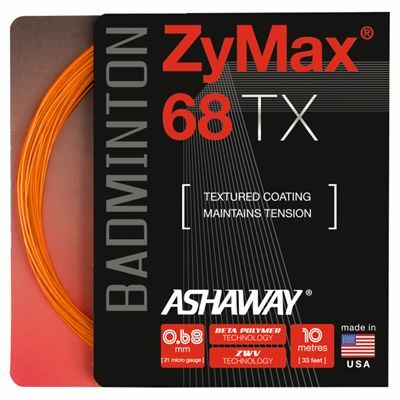 for submitting product review about Ashaway ZyMax 68 TX Badminton String Set.